If your transmission isn't performing optimally, you are not alone. There are times all the drivers of a particular make and model of car experience the same issue. In these cases, a factory transmission update may be the perfect solution. Our ASE-certified technicians can handle this for you, ensuring that the update is performed quickly and efficiently. If you drive a newer model car, getting this update performed properly by a knowledgeable technician as soon as possible can save you years of trouble down the road. We’re proud to say that our company has more than 40 years of experience performing complete transmission updates. Our mechanics have seen many different automotive problems over the years, so we know how to diagnose any problems with your vehicle and resolve them in a timely manner. Depend on us for efficient and effective automatic and manual transmission updates. If you’re interested in taking advantage of our convenient transmission services, don’t hesitate to get in touch. Our friendly technicians look forward to serving you. The manufacturer of your vehicle may have issued an update that will fix many of the issues existing with your transmission. Our expert service can bring your transmission up to date and keep everything current so your vehicle performs optimally. We follow the exact specifications that your car's manufacturer has laid out, to make your transmission problems a thing of the past. Moreover, with our 12-month or 12,000-mile warranty on all of our repairs, you can have the peace of mind knowing that we are here for you in case anything does go wrong in the future. Unlike many other auto shops, we specialize in transmission services. When it comes to something as critical as your vehicle’s transmission system, it only makes sense to work with a shop that focuses primarily on that specific area. With our transmission update services, you’ll be able to drive confidently, knowing that you don’t have to worry about your vehicle breaking down on you every time you hit the road. Not only will you feel more confident about your transmission not falling apart, you’ll also be able enjoy a smoother, more comfortable driving experience. Bad transmissions tend to shift roughly, making driving a constant hassle. We’ll update your old transmission so you don’t have to deal with jerky or loud shifting. For those who drive a manual transmission, a clutch and the related bearing can only last a limited time before it eventually needs replacement. 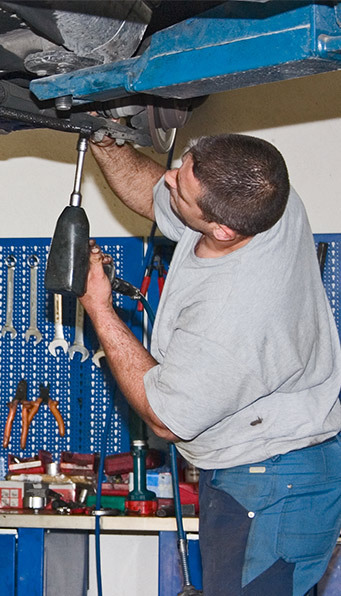 Clutch repair can be a complex, time-consuming job. Let our professionals handle all of your clutch repair and manual transmission needs. Normal use and wear and tear can wear the clutch down, making it harder for the driver to shift and sometimes causing gears to slip. Our expert technicians will ensure that this important component of a manual transmission is replaced properly so your car can function smoothly and switch gears effortlessly. As part of our approach to delivering superior transmission update services, we carefully evaluate your vehicle and discuss your needs before performing any work. We believe that all of our clients deserve to know what’s going on with their vehicle, and we’ll provide you with honest, clear automotive advice so you can make a smart decision about your transmission needs. Don’t keep driving with a worn clutch or a faulty manual transmission. The longer you wait to update your transmission, the more issues you’ll run into. Having your vehicle worked on today could mean avoiding waiting for a tow truck tomorrow. The transmission is one of the most important parts of any vehicle. Essentially, a transmission is designed to change the gears in an engine, in order to send power to the wheels to propel the vehicle forward or backward. Manual vehicles are shifted from gear to gear as they gain speed, while automatic vehicles control this process seamlessly, so the driver doesn’t have to. Most drivers understand the importance of their vehicle’s transmission, but don’t always know how it directly affects the rest of the vehicle’s operations. If a transmission is in disrepair, it can lead to very serious issues, such as lost acceleration, problematic shifting, or even a complete failure of the transmission system. These problems can become costly very quickly. In the case of older vehicles, replacing a transmission may cost more than the actual vehicle is worth. Simply put, a full transmission replacement is not a desirable outcome. With a transmission update service from our experienced automotive professionals, you won’t have to worry about dealing with this unfortunate scenario. We’ll keep your transmission running right, so you can stay on the road and maintain your normal schedule and routine. Contact us to find out more about how we can help you update your transmission! We serve residents of Gainesville, Buford, Suwanee, Lawrenceville, Flowery Branch, Oakwood, Braselton, Auburn, Winder, and Duluth, Georgia.